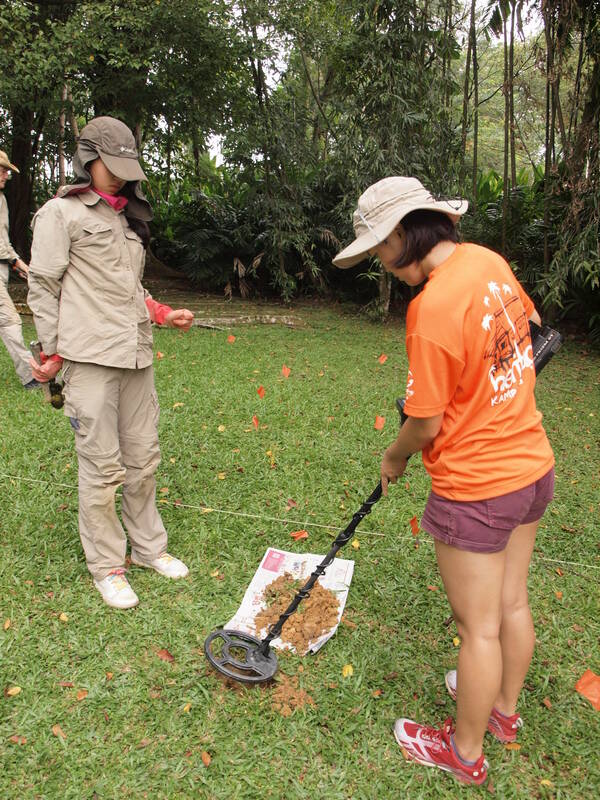 The Adam Park Project (TAPP) is the first archaeological survey of a wartime battlefield in Singapore. The project has been sponsored by a number of organisations throughout the seven years it has been underway. The National Heritage Board, the National University of Singapore, The National Library of Singapore, The National Museum of Singapore and the Singapore Heritage Society have all contributed to the project. 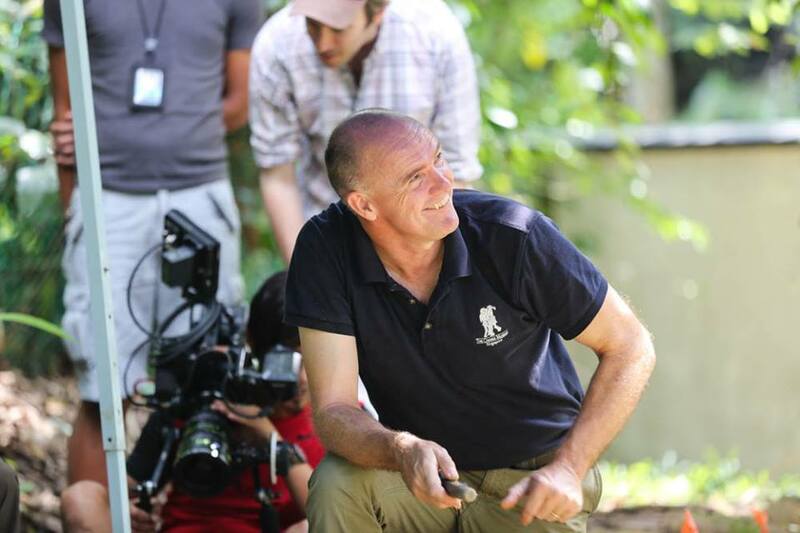 The project is managed by Jon Cooper, a graduate of the Centre for Battlefield Archaeology at Glasgow University who continue to provide professional support and academic affiliation. Jon Cooper, graduate of the Centre for Battlefield Archaeology at Glasgow University has been the TAPP Manager for the last 7 years . The objectives of the Project were originally threefold. The first was to assess the potential for battlefield archaeology related to the action fought on the estate between 12th and 15th February 1942. Although this objective seemed quite constraining and myopic, it was important for the team to focus on the fighting that took place on the estate and only look further afield when the action bore relevance to the battle at Adam Park. It has been very tempting to expand the scope of research to survey sites on for example Water Tower Hill, Hill 95 and the SICC golf course where traces of fieldworks can still be readily found today, but the project, with limited time and resource, could not cope with covering any more real estate. However, it was reassuring to find that there was plenty more battlefield archaeology in the neighbourhood for future projects. 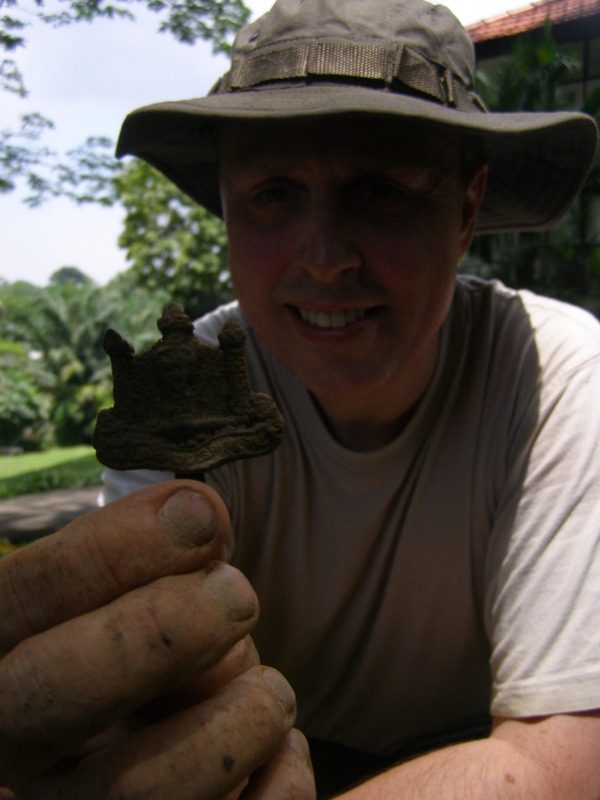 Secondly, the project was to assess the effectiveness of established battlefield archaeology techniques in a tropical urban environment. It became very evident early on that some techniques used in the UK and Europe would not be effective in Singapore. Field walking, for example, through secondary forestation was almost impossible and tended to unduly focus on more accessible areas such as modern pathways and clearings. Likewise, metal-detecting has been affected by saturated ground conditions particularly after heavy rainstorms. Metal detecting proved to be the most effective and cheapest method to recover WW2 artifacts across the estate. Finally, the project endeavored to provide as much information and evidence to help address the historical issue as to why Adam Park was so difficult to capture. Although the debate and analysis was not considered within the project remit, the project team was keen to prepare data and present evidence so that such a debate could be duly informed at a later date. However it soon became clear that the scope of the project had to be expanded when evidence of the estate being used as a POW camp came to light. In particular it was essential to alert and inform the survey teams as many of the artifacts and contexts they would be uncovering could be related to both events. For example a discovery of a horde of weapons may have been as a result of the Cambridgeshires destroying their equipment after the surrender, but it could instead be evidence of prisoners collecting and hiding firearms in anticipation of being ready for any armed insurrection. Therefore a further objective was added which was to assess the potential for archaeology related to the POW occupation of the site. 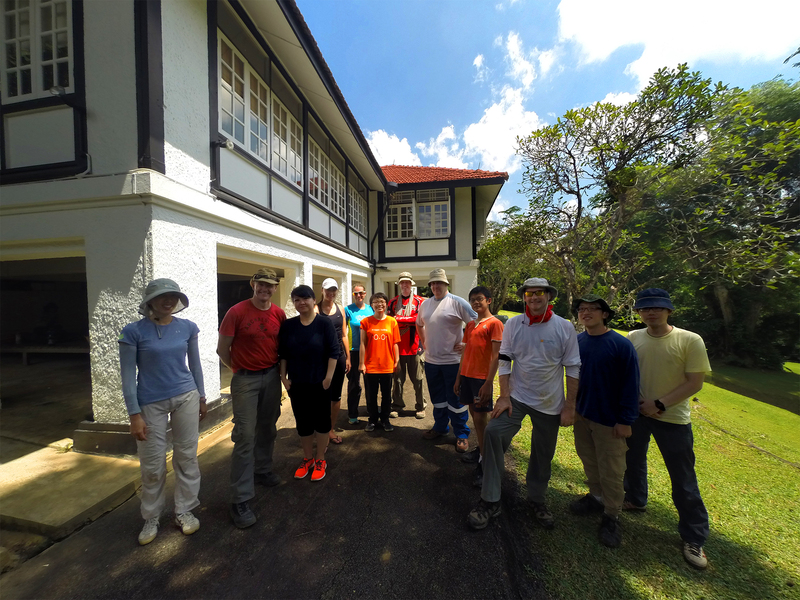 The project’s aim was to provide a blueprint for further work on battlefields sites across the island and to reveal to the Singapore heritage community the archaeological potential that is still readily accessible. It is hoped that the work will be used not only to secure better protection for sites at risk of development, but also to provide the inspiration and expertise for future projects teams to reveal other sites of historic interest. It has already become clear in the course of the research that neighboring sites at Mount Pleasant, Sime Road, Adam Drive and the Shinto Shrine on the SICC golf course are potentially as rich in heritage as Adam Park. Further surveys at existing sites such as Kent Ridge and Kranji Beach would greatly enhance their heritage standing. Adam Park is an impressive location, probably the most inspiring and historic site from the period, but it should be seen as a gateway for further research and study and not just a heritage cul-de-sac. In the 7 years of research the TAPP team have traced 10 veterans who either fought or were imprisoned at Adam Park. The latest veteran joining the contact list is a survivor from the 41st Regiment IJA. 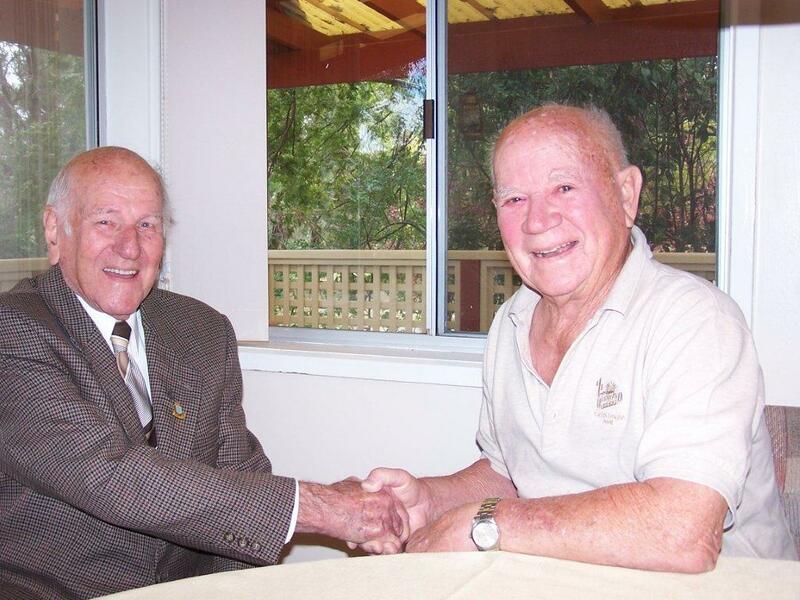 In the interviews with these men, Pte Lloyd Ellerman of 8 Division Signals AIF recalled the hiding place of a camp radio ,which led directly to the discovery of the hide underneath one of the houses. Sgt Len Baynes of the Cambridgeshires has detailed accounts of his participation in the defence of the estate and it is thanks to him that the trenches on Hill 95 in which he fought were discovered. In 2015 Pte Jack Jennings returned to Adam Park where he had fought in the Pioneer section. He was able to locate the slit trench in which he was captured 73 years earlier.Not all the evidence the veterans provide may be as revealing and time has eroded some memories, but the fact that these men are prepared to help today has continually inspired the team to dig deeper into their story. This valuable human resource is however fading as the years and months go by. At the time of writing, TAPP had undertaken twenty one metal detector surveys on the estate concentrating on areas of known fighting and looking for evidence of specific events and features. Two of these surveys were carried out as a response to requests from tenants wishing to build swimming pools and gazebos in areas they suspected as containing battlefield relics. Over 6,000 square metres have been surveyed and over a thousand artifacts relating to WW2 have been recovered. Researchers have also unearthed a number of unpublished diaries and pictures completed by men who were at Adam Park including one set of sketches that show images of many of the camp facilities including the Camp Chapel, Memorial Garden and The Tivoli Theatre. The archives in the Australian War Memorial (AWM) and Imperial War Museum (IWM) hold a plethora of material on the POW camp at Adam Park ranging from the theatre programmes from the performances at the Tivoli, to a trophy given for frog racing, to the medical report on the effectiveness of the treatment given at the surgery. The majority of the WW2 items recovered to date is spent ammunition. The distribution pattern has revealed among other things a number of lines of machine gun fire that can be related to suspected Japanese positions mentioned in the written histories and diaries. Patterning across the site has also provided tentative evidence of areas of defence, hand to hand fighting and dumping equipment at the time of surrender. One line of Japanese bullets in particular appeared to be aimed at a feature in the ground which is thought to be the vestiges of a slit trench and terminated with a bent projectile suggesting it hit something or somebody. Among the other military artefacts unearthed has been a cap badges, buttons, water bottles, coins, buttons, medical equipment, Type 37 webbing buckles, mortar parts, fuse caps and other pieces of military hardware. More personal items of the period include wedding rings, love tokens, razors, children’s toys, tooth brushes and toothpaste tubes. One item in particular has linked an individual POW with the site. 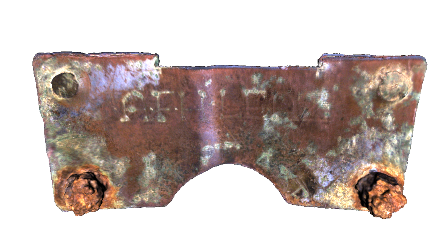 Excavations at 18 Adam Park revealed what appeared to be a name plate for a grave marker. However, after cleaning and research it transpired the named individual, Pte Alan Lenz of the 2/10 Field Ambulance, survived the war and returned safely to Mortlake, New South Wales in Australia. We are yet to discover why Pte Lenz had the plaque made. The most pertinent items have been selected for the online Virtual Museum. The survey reports are also available for viewing in the Online Library. The Adam Park Project has achieved its aims in presenting the potential of battlefield sites to the Singapore public. Notably the project has hosted a multitude of visits, lectures and presentations. TV and radio appearances and a thriving Facebook community has ensured the site has gained the exposure it deserves. However as the project winds down in 2015 there was still no word on which heritage body would take up the mantel of further surveys and permanent displays in the future. This Virtual Battlefield Museum may turn out to be the only way the general public can view the finds and learn more about Adam Park’s incredible wartime history in the foreseeable years ahead.